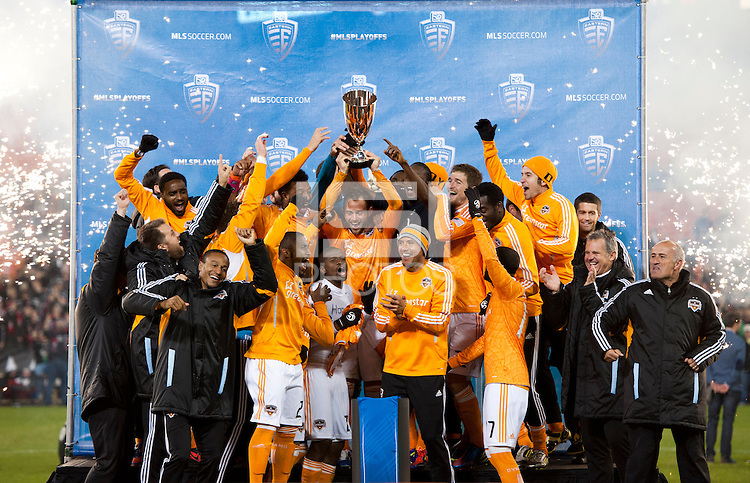 Houston Dynamo captain Brad Davis holds the trophy aloft as the team poses after the game at RFK Stadium in Washington,DC. D.C. United tied the Houston Dynamo, 1-1. With the tie, Houston won the Eastern Conference and advanced to the MLS Cup.